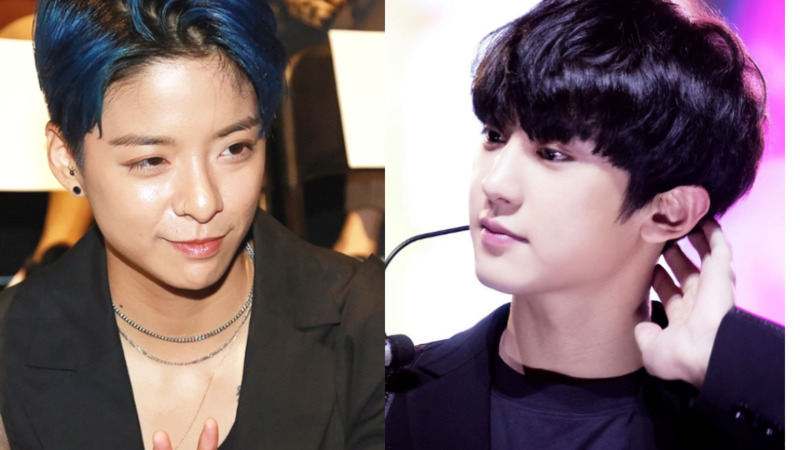 Amber responded to a suggestion of her collaborating with Chanyeol. Amber recently did a live to greet her fans where she would most of the time respond to the comments and questions that were being left for her during the live. On this recent live, Amber read out a comment that went, “Do a collaboration with Chanyeol please’ and here’s how she responded. Amber could be seen giving it a thought before instantly responded that “If that guy stops working out, maybe. He is in the gym all the time.” It’s widely known among fans on how much Chanyeol hits the gym nowadays and with Amber’s confirmation, Chanyeol must be spending a lot of time there too. Amber and Chanyeol was same-aged labemates so wouldn’t it be nice to see an amazing collaboration from them?